It is indeed the most wonderful time of the year. With the cold breeze in the air, the twinkling lights already hung up, and all that merry jolly spirit, December is in full swing. The most festive month is here and Christmas day is fast approaching. Children are already looking forward to opening those huge gifts Santa left under their Christmas trees or in their christmas stockings. For people in a serious, committed relationship though, some are also getting eager to pop the question. Yes, it seems like Christmas day is the most favored day to ask their significant other the question that would change both their lives. 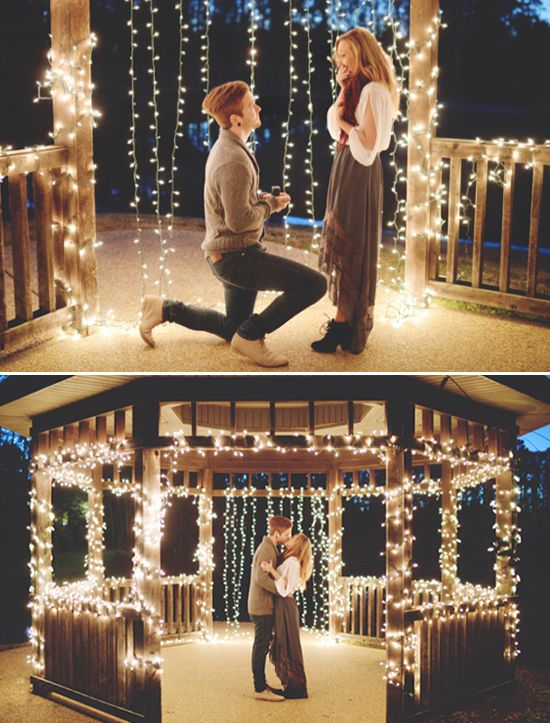 In fact, December, in general, is an extremely popular month to get engaged. A study showed that about 18% of engagements happened during the month of December. That is approximately 2.6 million newly engaged couple during this time of month. Surprisingly, Valentine’s day is not the most popular day to get engaged with only 8% of engagements happening on this day. With the exception of July 4th and Valentine’s Day, the rest of the popular days to get engaged falls in the month of December, specifically during or around Christmas day and the New Year. What is it with this month that makes you want to get engaged? Is it the lights? The Christmas joy? Perhaps the fact that families get together this season? Whatever it is, a number of people choose the month of December to get engaged, making this month one of the most romantic months of the year. Romance is definitely in the air but making the decision to get married is a huge leap to take. Do not get carried away with the excitement of the holidays, you need to be certain. However, when you do decide to get engaged, get the ring your partner deserves. The engagement ring is the symbol of your commitment to your partner and how you choose it shows just how much you know your partner. Besides, this is a ring she will show to her family, your family, and all your friends and colleagues. No pressure. Heads up, gentlemen. Here are a few guides to help you choose that perfect engagement ring. Understand her style; know her likes and dislikes. Does she like diamonds or does she prefer birthstones? Will she prefer a white gold band or a rose gold one? Whatever it may be, make the decision with her in mind. Your partner will definitely appreciate the fact that you made the extra effort in considering her style when you picked out the ring that you will give her. Do not get carried away splurging on a ring you cannot afford. Be realistic. Decide on a budget and work within that budget. An engagement ring is only but a symbol of your promise to your partner. In the end, what is important is you will stay true to that promise. If you do decide to go for a diamond ring, learn the 4 C’s. This stands for cut, color, clarity, and carat. A diamond’s cut is directly related to its beauty. This is because how it is cut affects how the light reflects on the diamond. The color is affiliated to its worth. The lighter the diamond, the more expensive it is. The clarity refers to whether or not there are cracks, called feathers, in the diamond. Finally, the carat, the most visually apparent factor refers to the size of the diamond. It is important you learn the 4 C’s so you will not get duped into paying a hefty sum of money for a rather cheap ring. It also shows how you took your time in choosing the right ring. Imagine getting on one knee, giving your big speech about love and commitment, her saying yes and you putting the ring on her finger only to find out that it does not fit. Bummer, right? Therefore, it is very important for you to know her ring size. 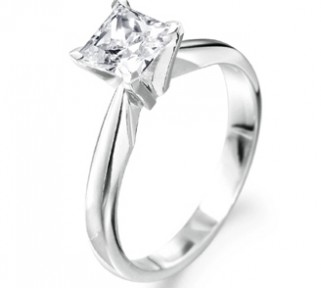 Although you can always have it resized, it is extra special to get the size right away. It just shows how much you know your partner. You can seek for her friends’ opinion on which ring to choose or maybe ask her friends’ help in knowing your partner’s ring size (just to be sure). One can never go wrong in seeking a good friend’s opinion. Gold, silver, white gold, rose gold – so many ring bands to choose from. It can be a bit overwhelming. Pick the ring band you think your partner will like the most. Also, consider that your partner will be constantly wearing this band. Choose a ring band that goes well with how she dresses on a day to day basis. It may seem like getting engaged is centered around the ring. This is because many couples give rings or exchange rings during an engagement. So if you are looking into getting engaged this Christmas, you have to start finding that perfect ring. Your gift is basically the representation of the love and commitment you have for your partner so you best choose the perfect ring to represent those sentiments. At Golconda Jewels, they offer several wedding rings and engagement rings. They have a variety of designs to choose from and you can also opt to customize your ring. You can start choosing for the perfect ring your partner deserves here http://www.golcondajewels.com/. The Christmas season is a time spent with your family and sharing the blessings you received throughout the year. What better way to celebrate the Christmas season giving love and being loved one by committing yourself to your significant other. Besides, getting engaged is definitely a great way to end the year with a bang and welcome the new year full of promise with the possibility of forever. Congratulations Sherlyn Doloriel for being crowned as Miss Cagayan de oro city 2016! Cagayan de Oro City has just chosen its most beautiful woman during its search for “Miss Cagayan de Oro 2016” last August 13. She received an elegant, sparkling pearl earrings with diamonds from Golconda Jewels. It was personally handed to her by one of the tourism council members, Ms. Maria Teresa Picardal, the sister of the proprietor of Golconda Jewels, Rosalinda P. Caragos. This year’s competition was tough as there were 12 young ladies who were equally talented and beautiful vying for the title of Miss Cagayan de Oro City 2016. They represented 10 barangays in the city, namely: Barangay Bugo, Barangay Carmen, Barangay Kauswagan, Barangay Lapasan, Barangay Lumbia, Barangay Patag, Barangay Nazareth, Barangay 14, Barangay 23, and Barangay 32. 5 of these lovely ladies made it to the top during the coronation night last August 13, 2016, and the luckiest one to bring home the crown that night was candidate number 1, Sherlyn Doloriel. 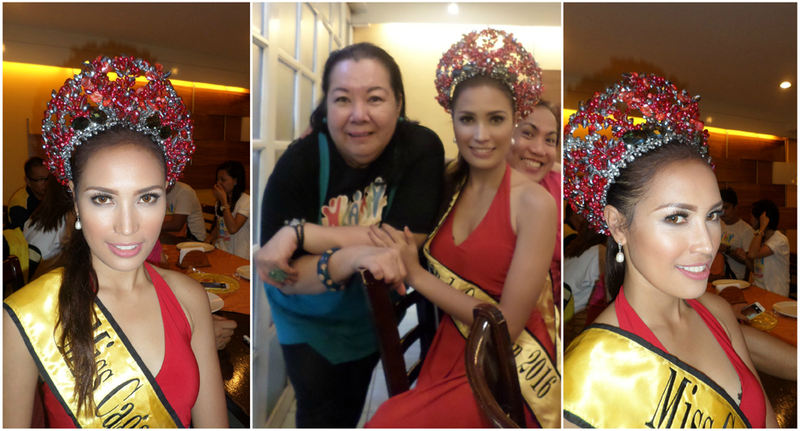 She got 4 major awards which included: Best in Swimsuit Wear, Miss Camella Homes, Miss Ororama and Miss 2go. You can also buy or have an equally stunning custom made set of earrings at Golconda Jewels at Hayes-Velez St., Cagayan de Oro City. Golconda Jewels is a reliable provider of dazzling engagement rings, wedding rings, antique design jewelry and gold pieces, pearls, and other sorts jewelry made of diamonds, rubies, jade, and other precious stones. In fact, it has been in business for more than 25 years, meeting and satisfying couples’ needs for the right ring that symbolizes their lifetime love and commitment. They have also been satisfying an individual needs for fine jewelry. All these wedding rings can be custom made to perfectly suit your taste as well as your budget. To pick the best engagement ring, wedding ring or any piece of jewelry for yourself or for your loved ones, just visit their website at http://www.golcondajewels.com/. There is no better way to show your love if she’s celebrating her birthday in July than by giving her a ruby gemstone. 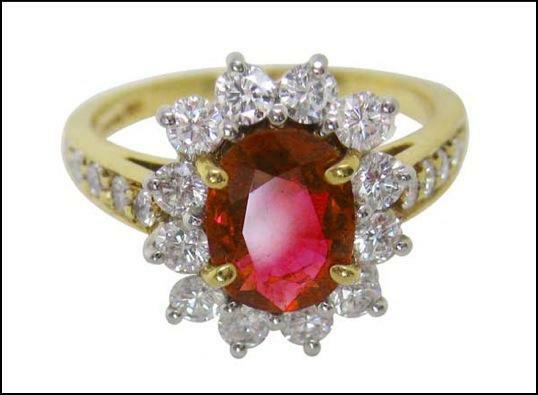 Ruby is the traditional birthstone for all people who were born in the month of July. It is one of the most valued coloured gemstones. In fact, large rubies can cost more than diamonds with equivalent sizes and are more difficult to find compared to other most recognized precious stones like diamonds, emeralds, and sapphire. On top of that, rubies are said to excite the senses and can guarantee health, wealth, wisdom, and success in love. Ruby comes from the Latin word “rubens” which means red. Ruby is made of corundum. It is harder compared to any natural gemstones except diamond, which means that it is durable enough to be worn ruby everyday. The Bible mentioned 4 times that rubies are also associated with beauty and wisdom. Ruby gets its color from the trace amount of mineral chromium. It has varying shades from rich darkish red to pigeon blood and pinkish red. The finest rubies have been mined in Myanmar (formerly known as Burma), where the term “Burmeses ruby” started. In Hindu tradition, Rubies were associated with passion, power, and protection. 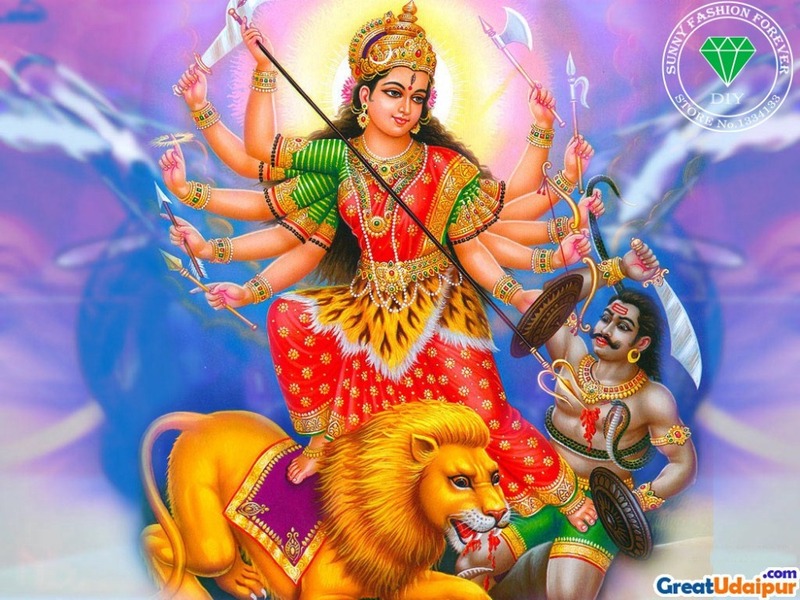 It was also believed that it has curative elements and are used to improve blood circulation. 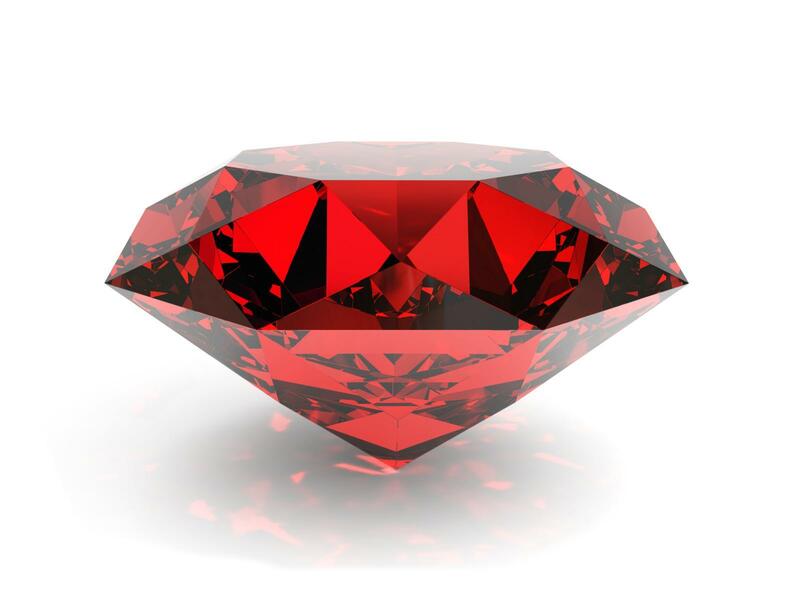 Ancient Hindus called the Rubies “Rajnapura” or the “The King of Gems”. It was believed that the stone radiated a warmth and luminosity from an internal fire. Rubies are also a traditional gift for people who are celebrating the 15th or the 40th anniversary. One of the leading ruby mining and production hubs is Thailand; other leading places are Madagascar, Sri Lanka, and India. We are all aware that wedding rings (also known as “wedding bands”) are symbols of eternal love and commitment which a man and a woman make during their wedding vows. These are generally worn to indicate one’s civil status, thus making them a significant part of a person’s life. To help you understand the importance of the wedding rings, here are 10 fascinating facts that you should know. 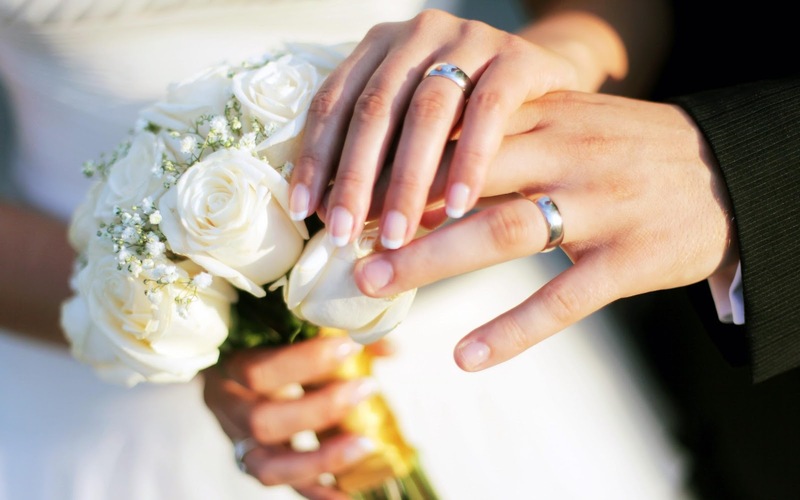 Most wedding rings are worn on the left hand’s fourth finger. It is a tradition that comes from a roman belief stating that the left hand’s fourth finger is the only finger with a vein which directly connects to the heart. It’s also called vena amoris or vein of love. 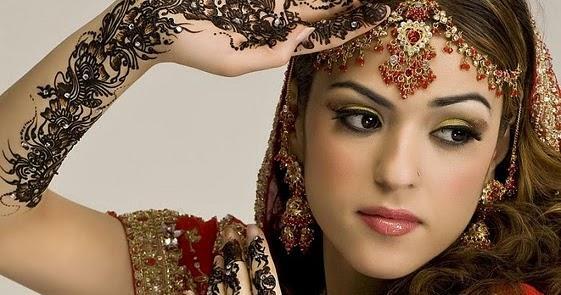 In some Indian traditions, wedding rings are not worn on the ring finger. 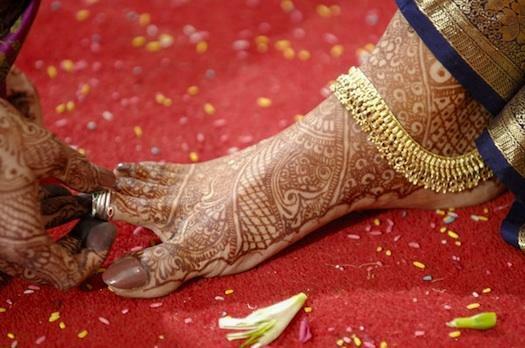 In fact, some of the brides are even required to wear a toe ring (bichiya) instead. Couples in other countries like Germany, India, and Russia prefer to wear their wedding rings on the fourth finger of their right hand. For couples, the circle symbolizes eternity, which means no beginning and no end, like time. 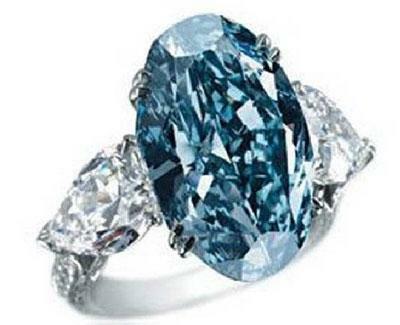 The Chopard Blue Diamond Ring is the most expensive ring recorded which amounts to $16.26 million. 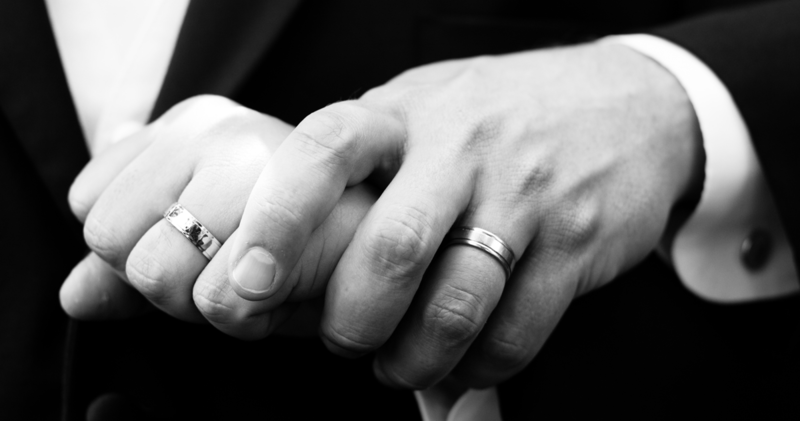 The groom’s name is the most commonly engraved word on wedding rings. 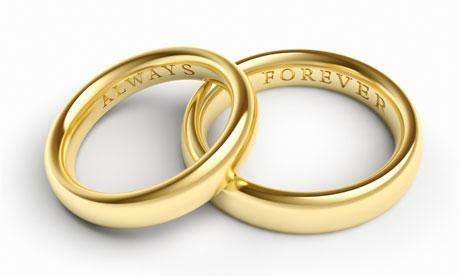 The tradition of wearing wedding rings for partners started during World War II where most men wear their wedding ring just to remember their wife back home. 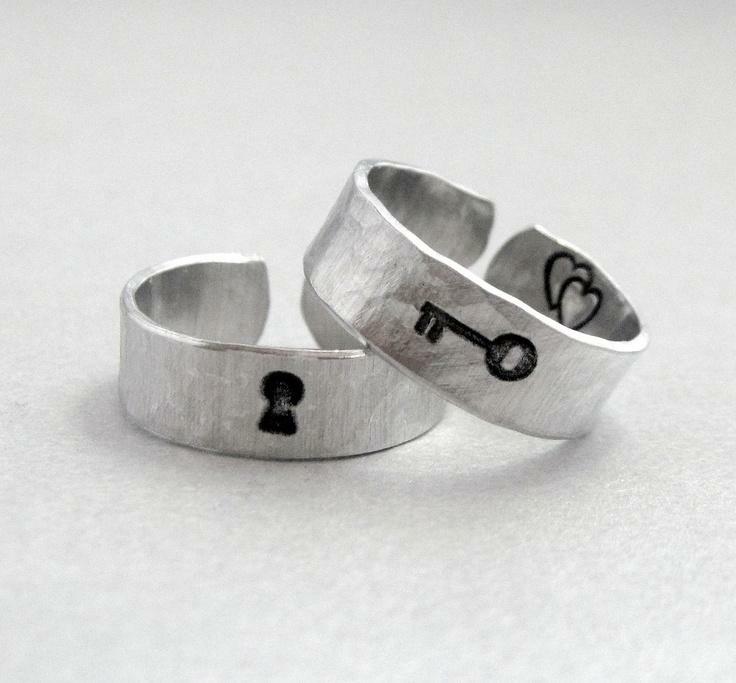 Most men in ancient Rome often gave rings that were adorned with a small key which symbolized the way to a man’s heart. 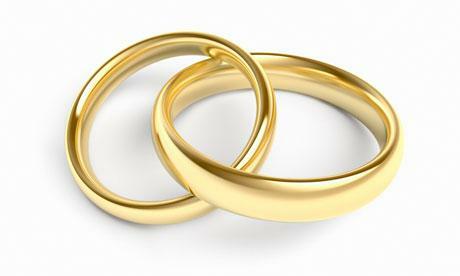 Gold was considered as the purest and the most valuable metal; that’s why wedding rings were traditionally made from it. It’s the perfect symbol for marriage. 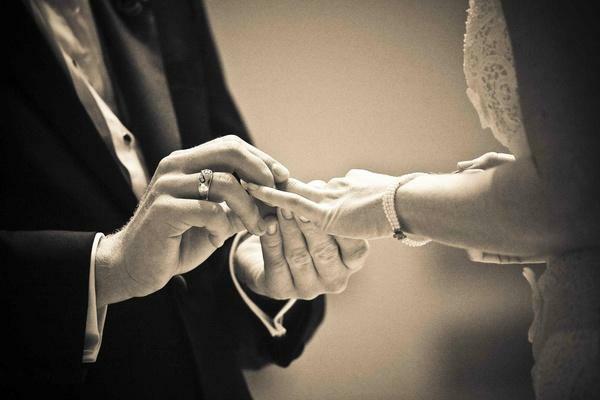 The tradition says that if the groom drops the ring during the ceremony, the marriage will be faced with bad luck. 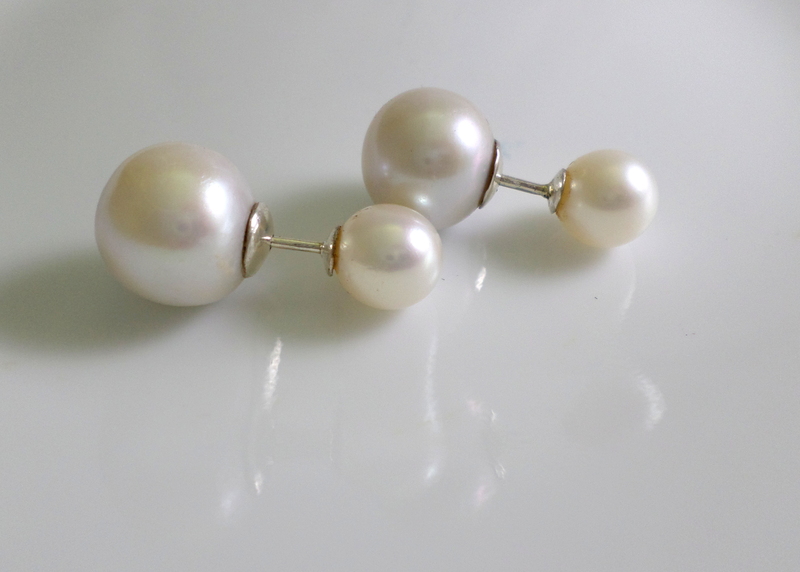 All types of people, from jewelry enthusiasts to those who just want to wear something pretty – have treasured pearls for many years, especially ladies as it is a staple jewelry item. A lot of women and even some men admire the elegant simplicity of pearls, thus plenty are eager to get their hands on one of this precious gemstone. There are also a lot of fun facts you might want to know about this gorgeous item. 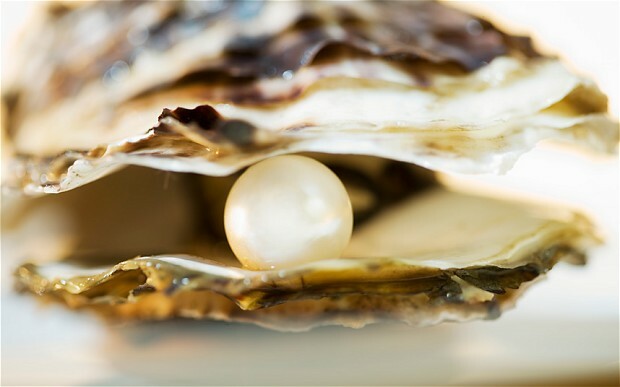 Pearls might be simple to look at, but there are a lot of interesting stories behind them. 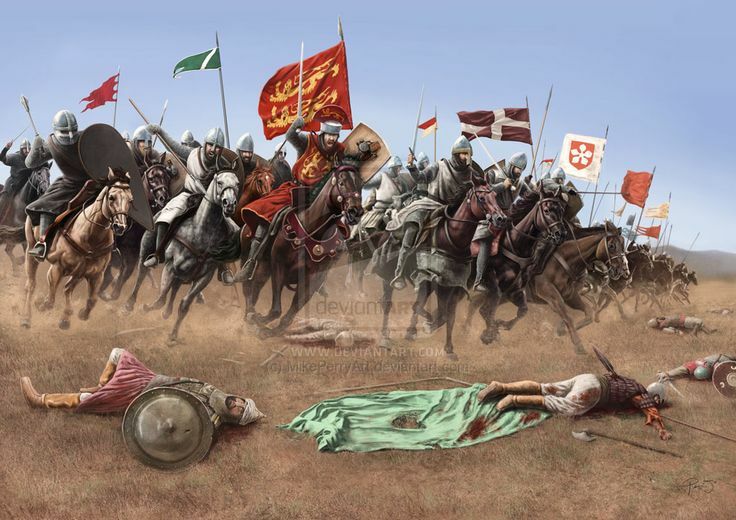 During the medieval period, knights would wear pearls into battle believing that gems could keep them safe from any danger. 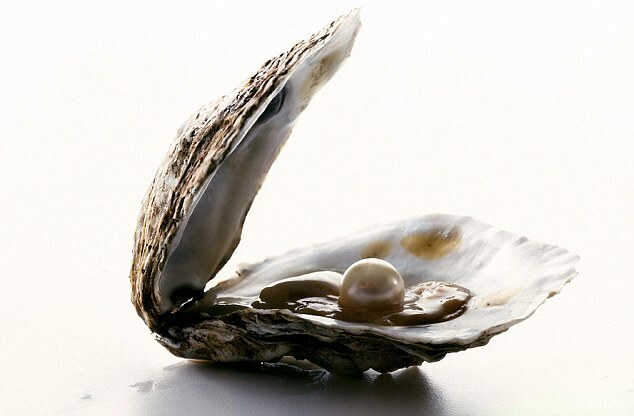 All pearl oysters were born as male and then later transform into a female at around three years of age. 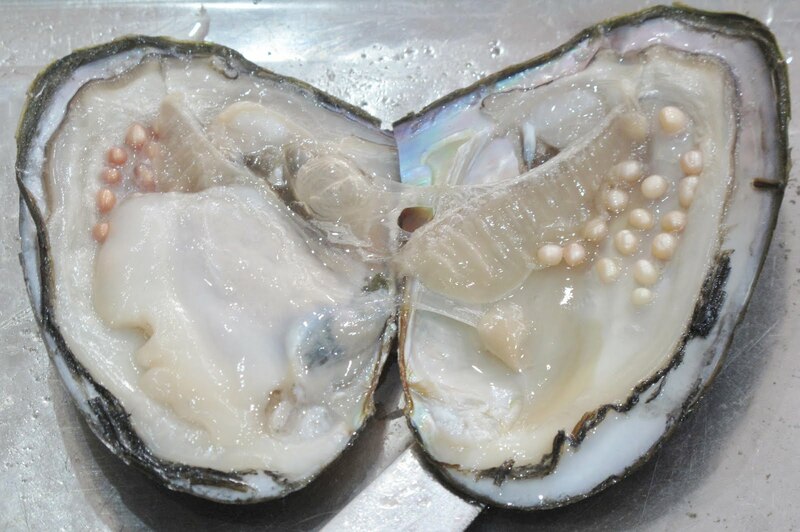 Harvesting pearls from mollusks doesn’t kill the animals, it can be re-implanted and used to create more pearls. 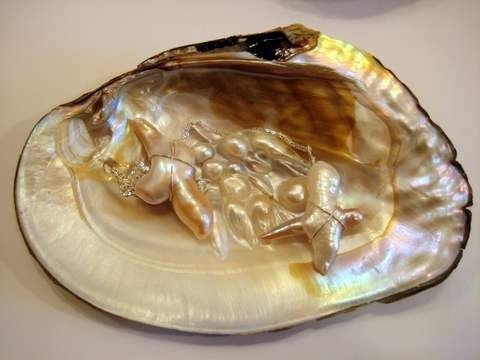 Pearls are the only gemstone created by living animals. 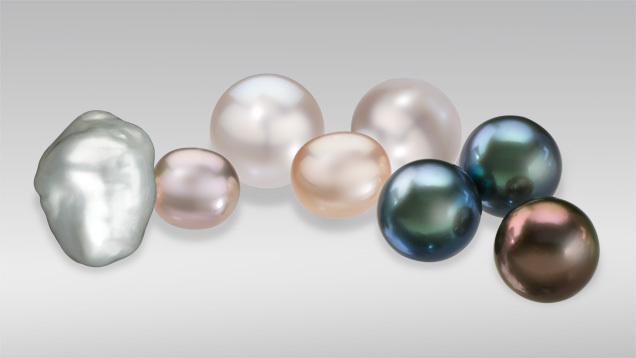 Pearl gemstones take their color from the inner side of the shell they are growing in. They range from purple to black from white to gold. 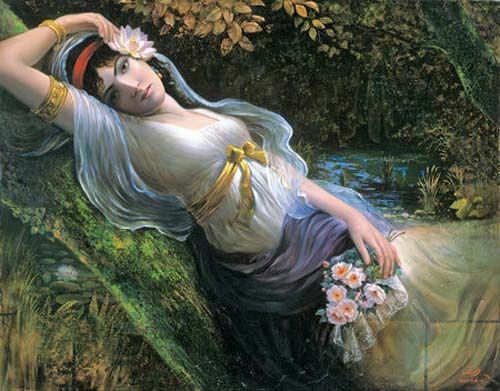 The oldest pearl jewelry was found in a Persian princess’ sarcophagus; the said princess died at around 520 BC. 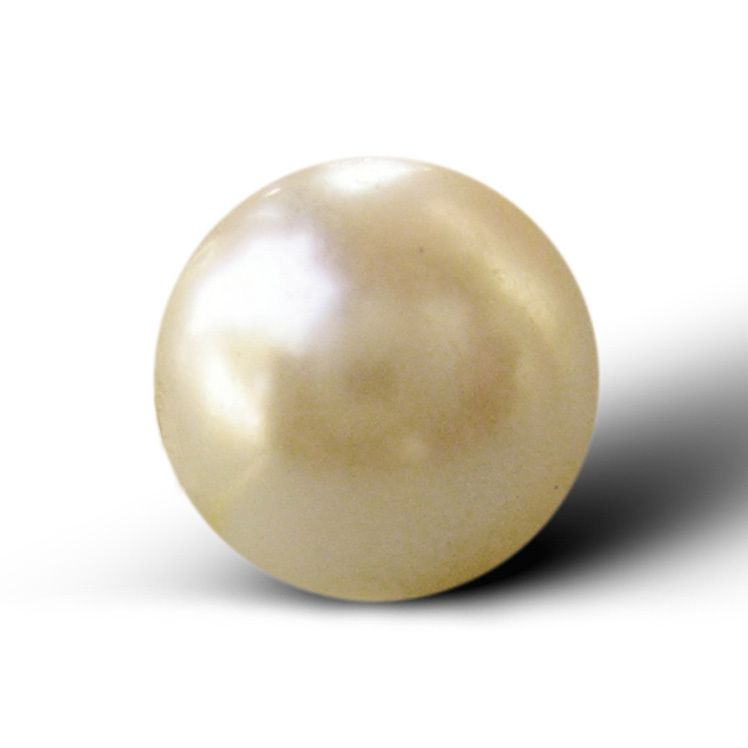 The word pearl is derived from the Latin word for the thigh-bone, which was inspired by a thigh-shaped mollusk. 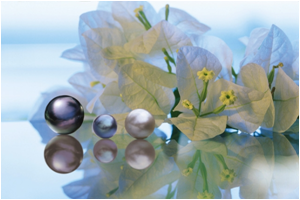 Pearls are also known as the birthstone for people who was born in the month of April. Known as one of the most precious stones in the world, the diamond is a popularly used gem for engagement and wedding rings, though these can be used for any type of jewelry. A lot of women breathe a sigh of longing upon seeing such a beautiful gem, because as the saying goes, diamonds are a girl’s best friend. Let’s get to know this sparkling wonder even more! Below are 14 Amazing Facts About Diamonds to add to what you already know about them! Tidbit #1. 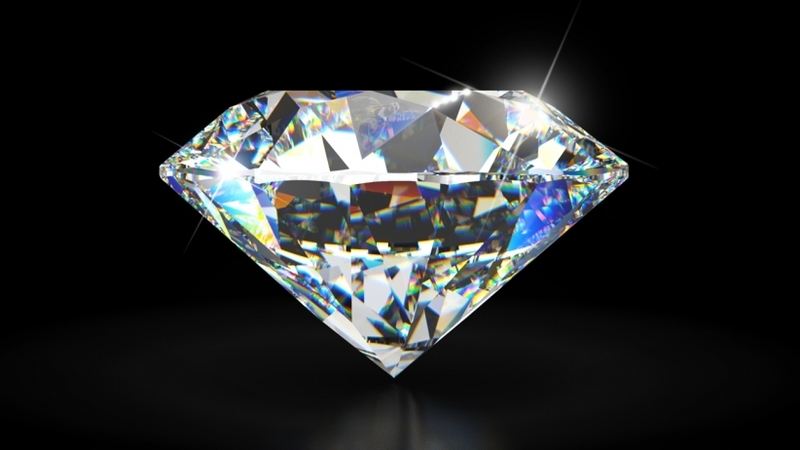 Diamonds are the Hardest Natural Substance on Earth and are appropriately named! Adamas is a Greek word that is the main inspiration of the word diamond, as it means unconquerable and indestructible. The name and the rock itself are also known as symbols of courage, invincibility ,and strength. 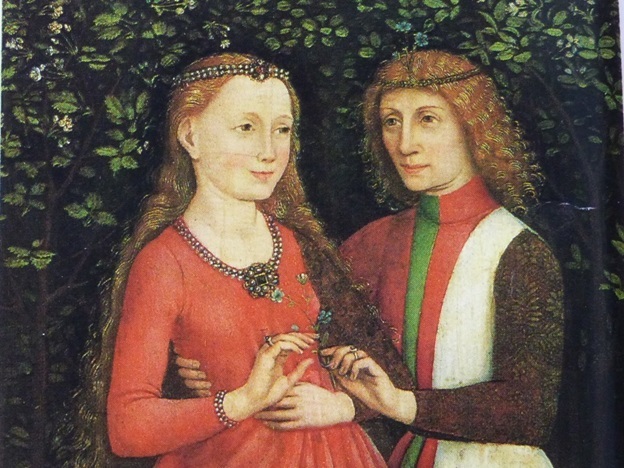 Archduke Maximilian of Austria was the first man who proposed to Mary of Burgundy with a diamond ring in 1477. It was a ring encrusted with thin, flat pieces of diamonds forming a figure M. This is where the giving of a diamond engagement ring started, until it became a tradition. 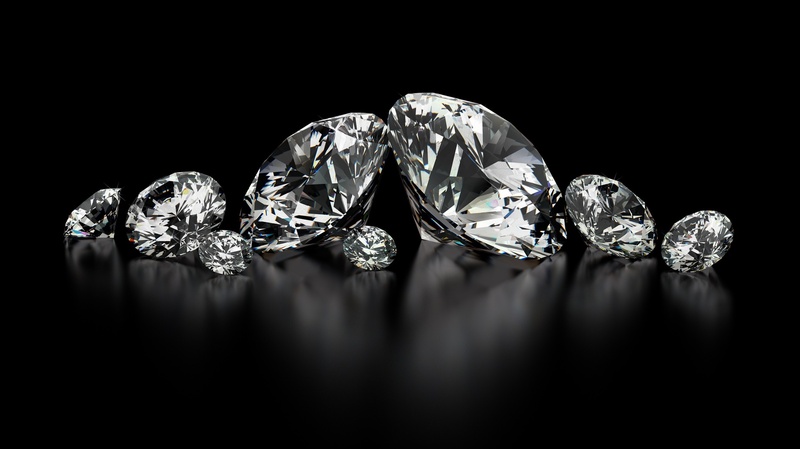 Diamonds were first discovered in the riverbeds of Golconda, India during 800 BC. The place bears the same name as our very own Golconda Jewels! 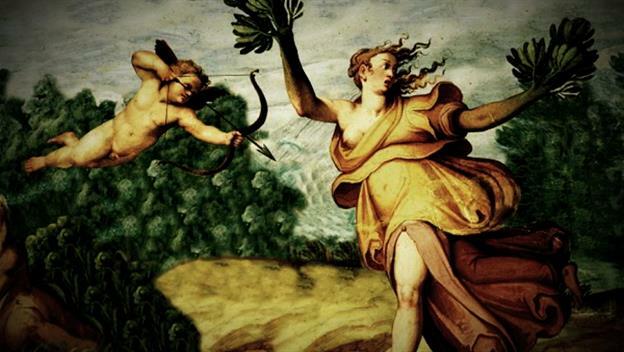 Cupid, the God of desire, attraction, and affection was known to shoot arrows at people to make them fall in love. Romans used to believe his arrows had diamonds at their tips, and this also led to the belief that there was a link between diamonds and love. It is said that diamonds were tears cried by the Gods or splinters from falling stars, according to the ancient Romans and Greeks. Diamonds are more than three billion years old. Tidbit #8. You May Find Diamonds in Candles! 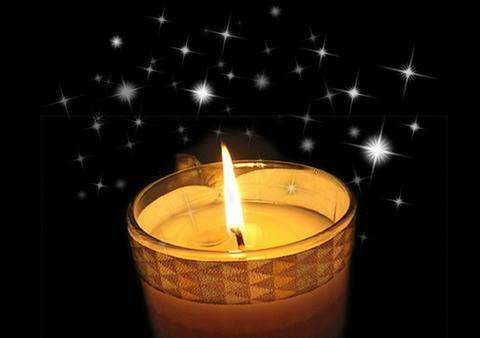 Although not literally IN the candle wax, according to scientists, candle flames may contain millions of tiny diamonds! 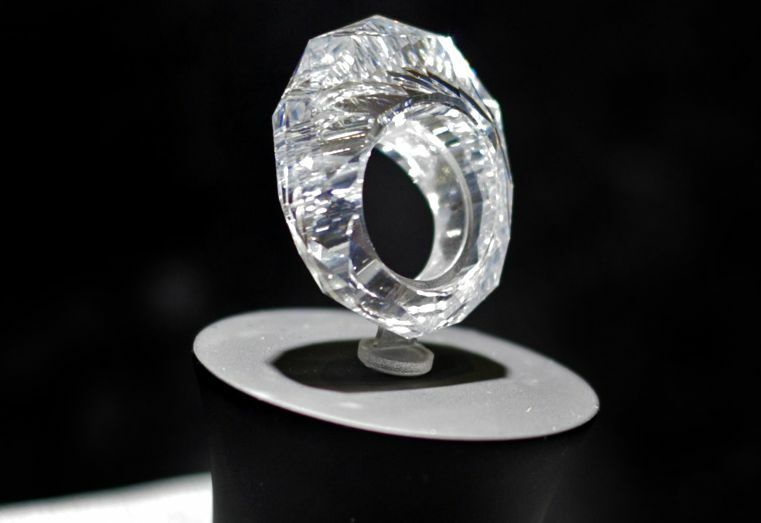 A purely all-diamond ring was created in 2012 by a Swiss jeweler, weighing in at 150 karats, and valued around $70 million. This ring took one year to finish. A priceless diamond called the Koh-i-Noor is a part of the British Crown Jewels located in the tower of London. 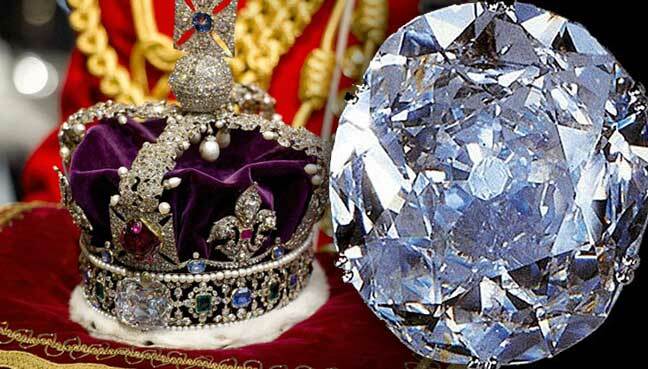 It was found in India and was once remarked as the largest diamond in the world. Tidbit #11. 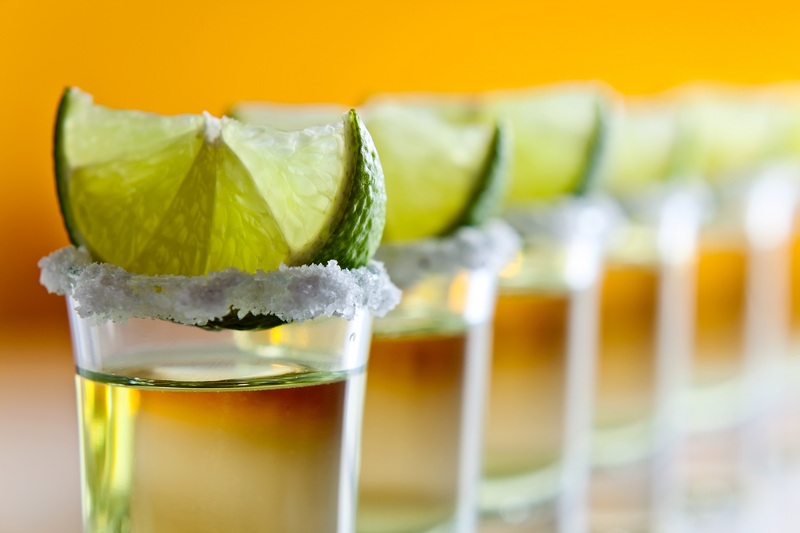 Tequila and Diamonds – An Unlikely but Proven Connection! 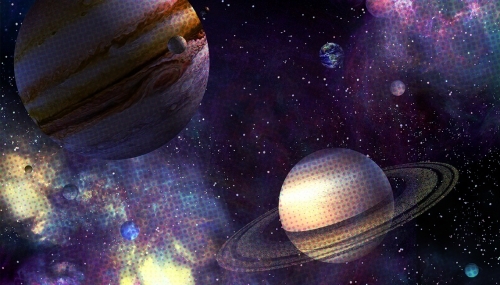 It literally rains diamonds in Jupiter and Saturn. 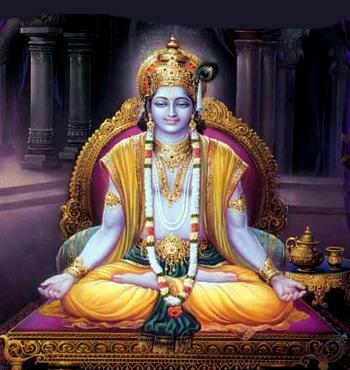 It is said that Ancient Hindus used diamonds in the eyes of devotional statues, they also believed wearing diamonds could protect its wearer from danger. Diamonds are also known as the birthstone for people whose birth month is April. With south Sea pearls as stopper/cerradora, set in 10K Gold. When it comes to engagement rings or wedding rings, the most sought out jewel people look out for is the diamond. We see it in all forms of popular media like TV shows, commercials, movies, and we see it in real life as well. Although modern day couples have started using other gems and precious stones for engagement and wedding rings, nothing beats the classic beauty of the diamond. Its ethereal, transparent gleam is simply incomparable to other gems, and for a long time it has established itself as the gem to use for special rings or jewelry. It is quite easy to identify a diamond from other kinds of gems, as all gems have their own distinguishing appearances. However, like all other gems, the diamond is not immune to counterfeits that are sometimes sold for the same price (or lower) than an actual diamond. Of course, for something as significant and special as an engagement or wedding ring, having a fake diamond is the last thing you would want to give to your beloved. The question is, how can you tell between a real diamond and a fake? Newspaper. Grab a piece of newspaper and place it on any flat surface. Lay the diamond upside down on the newspaper and see if you can still read the letters through the diamond. It you can still read the letters on the newspaper, it is a fake. Real diamonds are transparent, but not that transparent that you’re still able to read letters through it. Fogging. You know how when you breathe on a mirror it creates a fog that can be wiped away? Fogging is actually one other way for you to test if a diamond is real or fake. Similar to how you would fog a mirror, place the diamond in front of your mouth and breathe on it. Real diamonds don’t stay fogged very long, and by the time you bring the diamond to eye level the heat would have already dispersed. Fake diamonds stay fogged for a longer time of two to four seconds. Coldness. 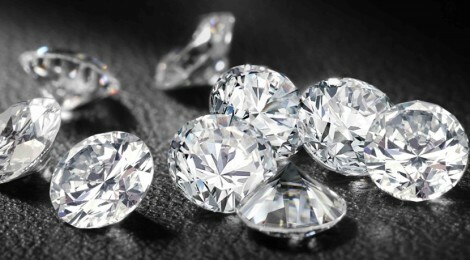 Diamonds are known to be resistant to heat, meaning they don’t heat up. In fact, diamonds are said to be cold to the touch. Loupe. Loupes are special magnifying glasses used to examine jewelry, and these can be bought at any jewelry store. Examine the diamond for imperfections and sharp edges using the loupe because this indicates a real diamond. Fake diamonds tend to look too perfect, and instead of sharp edges, they have round edges instead of sharp. Ironic, isn’t it? Use a karat/gram scale. If you have this scale, it can come in pretty handy for testing all kinds of diamonds. This will help you be on the look out for a stone called cubic zirconia, the most common stone used to make fake diamonds. By using this scale, you can tell if it’s a real diamond or a cubic zirconia because the latter is known to be 55% heavier than an original. Keep these tips in mind to do your own diamond examinations, but if you want professional advice, you can always consult your local professional jewelers. For those in Cagayan de Oro with “questionable diamonds”, they can head over to Golconda Jewels to have it tested for authenticity. Since time immemorial, gold has always been one of man’s most valued possessions. Earliest metal artifacts found in excavations were made of gold. Wars have been fought and lives lost for the quest of gold. As its’ name connotes, the metal is golden yellow. It is heavy; a cubic foot weighs 1,200 lbs. It is soft and malleable and does not corrode hence it is the best metal for jewelry and money. Since it is scarce, all currencies in the world are measured against the gold standard. This is the reason why price of this metal keeps on rising to a new high. Pure gold is 24-carat gold. Because it is soft metal, other metal alloys, like silver and copper, are added to harden it. For example, if a ring is 18k, that means it is 18 part gold and 6 part alloy; if you add 18 to 6, it equals 24. If the ring is 14k, it has 14 part gold and 10 part alloy, and 10k ring has 10 part gold and 14 part alloy. Gold is found as nuggets in streams and in rocks; it takes several tons of ore to yield an ounce of gold. Lapis is composed of several minerals, among them, calcite and pyrite or fool’s gold. Its’ main ingredient is lazurite. 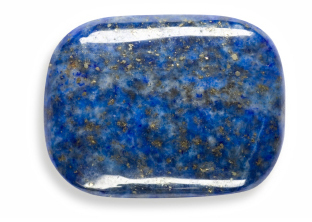 Lapis is usually spotted or striped. The color ranges from rich deep blue to azure, violet blue, or green blue. It is usually found in limestone, near granite. Lapis mines are found in Afghanistan, Russia and Chile. Considered by Orientals as sacred stone, as it is supposed to ward off disease as well as the evil eye, jade promotes long life and a peaceful end. There are two major classification of jade, Jadeite, ninety percent of which is found in Burma , though some come from China, Japan and North America and Nephrite, from the same places mentioned earlier and Siberia, Taiwan, New Zealand and Canada. Jadeite is heavier, harder and shinier while Nephrite is a fibrous, 2waxy stone. 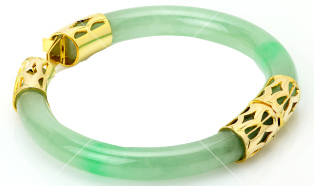 It comes in many colors, but the brilliant green in Burmese Jadeite is caused by chromium. Imperial Jade is the translucent rich emerald green that the Chinese are after while the most valued nephrite is the mutton fat, colored yellowish white. The birthstone of February, Amethyst is a noble gem stone of everlasting mystery. It is the most highly valued stone in the quartz group. Its color can be violet or pale red violet. Its name originates from the anecdote of the God of wine, Bacchus and a beautiful lady, named Amethyst. Rich deposits are found in Brazil, Uruguay and Malagasy Republic, Zambia and Mexico but lately Korea is turning up purple violets Amethysts in their mine. Aquamarine, together with Emerald, belongs to the beryl group of gems. The name, which means sea water, aptly describes this gemstone color. The pigment is iron. It was a talisman for sailors and seafarers. It is brittle and sensitive to pressure, but has good resistance to wear. The most beautiful color is deep blue green, found in Brazil, while that of Madagascar is dark blue. Almost all aquamarines are heat treated to produce a more attractive blue color. Aquamarine is the birthstone for the March born. Opal is the birthstone of the October born. The special characteristic of this gem is its opalescence, a rainbow like iridescence which changes with the angle of Observation. More than 90 per cent of opal produce is found in Australia. There are four major opal fields; Quilpie in Queensland known for its boulder opal, Lightning Ridge in New South Wales for its famous black opals, the costly brilliant red on a black background, and Coober Pedy and Mintabie in South Australia for the milky white opals. Mexico prides itself with its orange fire opal. Always make sure you purchase a solid opal as there are cheap doublets and triplets, consisting of other mineral stones pasted together with a thin veneer of opal to lure tourists . DIAMOND, RUBY, EMERALD, and BLUE SAPPHIRE are the 4 classic stones. They are considered the costliest gems; they are also known as the gems of nobility. The scarcity of diamonds makes it so costly. In order to produce a one carat polished diamond of gem quality, approximately 250 tons of ore must be mined and process. Pricing of a diamond depends on the four characteristics that determine its quality and value, the basic criteria universally known as the 4CS, for Carat weight, cut, color and clarity. Carat -weight is the stone’s weight measured in carats. One carat is divided into 100 points, so that a diamond of 25 points or one fourth carat weighs .25 carats. The bigger the diamond, does not mean, the higher the price, but depending on the other 3 cs. A diamond’s cut determines the brilliance of a diamond; too deep or too shallow cutting disperses the light and won’t be reflected. Round single cut diamond has 18 facets while the double cut has 58 facets. The other 5 most popular shapes are heart, marquise, pear, emerald, and oval. Diamonds come in all colors. The best diamond color is no color; the least priced are the yellow and brown. The rare red, pink, blue, green, canary yellow and other colors are called “fancies”. To determine a stone’s clarity, it is viewed under 10-power magnification or loupe. Inclusions or flaws in the stone bring down the price of the diamond. 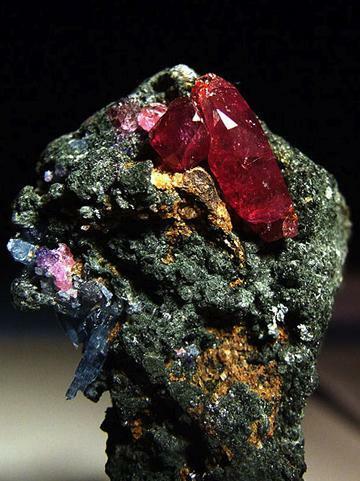 Ruby, the red variety of corundum, due to chrome in aluminum oxide, is the second hardest mineral. Mogok, Burma, is the source of the finest pigeon bold rubies Flawless rubies in excess of 3 carats, are very rare; its’ per carat value increases with size. Color distribution is often uneven, in stripes or spots. Mogok, Burma, is the source of the coveted purplish red, pigeon’s blood rubies; Thailand rubies in Chantaburi district are brownish red and are sometimes mistaken for garnets, while Ceylon rubies are light red, bordering on the pink. 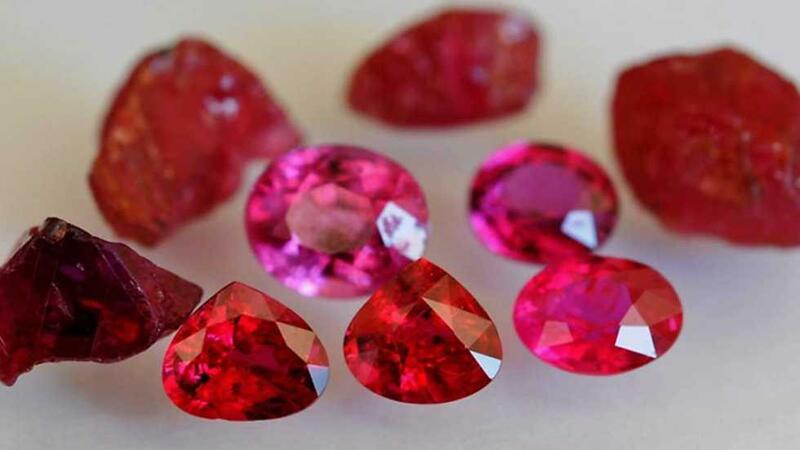 Ratnapuraof Sri Lanka, and Tanzania are other major sources of rubies. 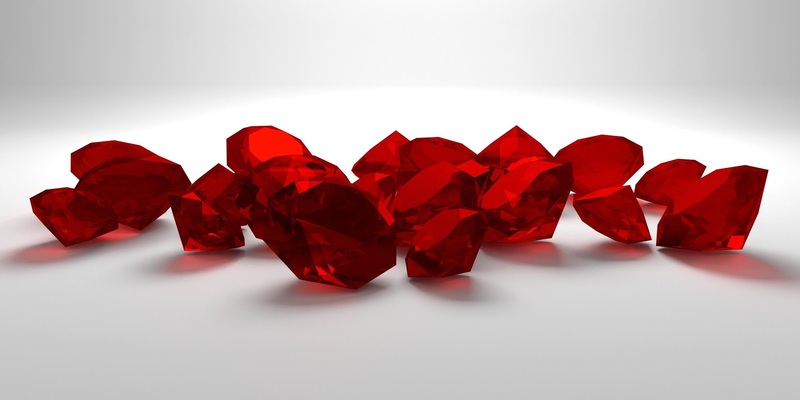 A considerable range of synthetic rubies is now made by the Verneuil laboratory process. 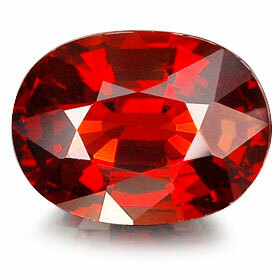 Other mineral stones that simulate rubies are red spinel, pyrope garnet, and tourmaline. The name of the gemstone is derived from its’ blue gem quality of corundum, which in turn gets its’ coloring from titanium. Sapphire can be faceted cut or en cabochon if the stone is a star sapphire that produces a twelve or six ray star, like the star ruby. Kashmir, India, in the Himalayas produces the milky pale blue;Mogok, Burma, now, supplies the corn flower blue, The Star of India, 536 ct, star sapphire and the Midnight Star,116ct black star sapphire can be found in the New York’s American Museum of Natural History while the Star of Asia,330ct star sapphire ,is in the Smithsonian Institution in Washington. 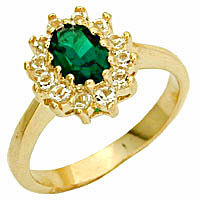 From the beryl group comes the emerald, its’ Greek word smaragdos, means green stone. Flaws in the emerald attest to nature’s imprints and evidence as to the genuineness of the stone as compared to the synthetic Chatham emerald. Emerald has poor resistance to wear. It is brittle and easily breaks. It is history’s most romantic gem, as betrothal ring. Cleopatra’s mine in Upper Egypt is known for emerald. Rome’s Nero used the first sunglasses, made of emerald to watch the arena fight. Deep green is the best color for emerald; Muzo, Colombia is the source of the best Colombian emerald. The Romeos of the world prefer to give their Juliets a symbol of their undying love and what better representation of a betrothal is there than a ring with a solo diamond. The ring’s circle connotes perfect unity, no beginning, never ending, and the sparkle of a diamond is the fire of love that a man feels for his beloved. Also a diamond is forever; the Greeks called it Adamas, which means steadfast. In other words, a diamond engagement ring speaks of a steadfast love, a love to last forever. Romantics of old believe that a particular vein, called vena amoris, vein of love, which is found in the 3rd finger of the left hand runs directly to the heart. To this sweetheart’s ring finger should the ring be placed. The first reported engagement ring was in August 17, 1477 when Maximillian of Austria gave one to Mary of Burgundy. Lately, men go out of their way by preparing a romantic setting wherein they can present the engagement ring, some even kneel on their right knee before the lady. Usually, it’s a Candle lit dinner, set for two, with wine and red roses, a violin and balladeer , all the works, and videotaped for the pre-nuptial presentation. So, you are getting married and you need a pair of wedding rings. Do you know that it was Pope Innocent, III, in the 12th century, who ordained that a church wedding ceremony must include marriage rings in its rite? Usually, the ring is worn on the 3rd finger of the left hand. If the bride has an existing diamond ring, the wedding ring serves as its ring guard, if she wants to wear the two rings on the same finger; it’s important that the two rings match, or complete each other which means, that they are more or less of the same design. If they don’t match at all, transfer your engagement ring to your right hand. It is best that your wedding rings are customized so you don’t have to go to any jeweler to have the sizes adjusted; that’s additional expense. There are many metals to choose from, silver, white gold, yellow gold or a combination of white gold and yellow gold as two tone rings, platinum, palladium or titanium. State also what type of finish you want the ring to have, plain or matte finish. 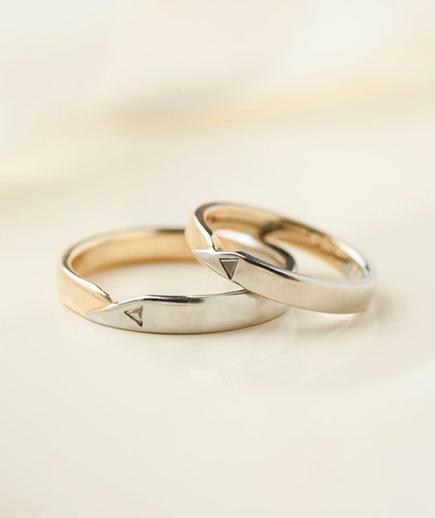 Practical couples go for a pair of plain bands, either in white gold or yellow gold. 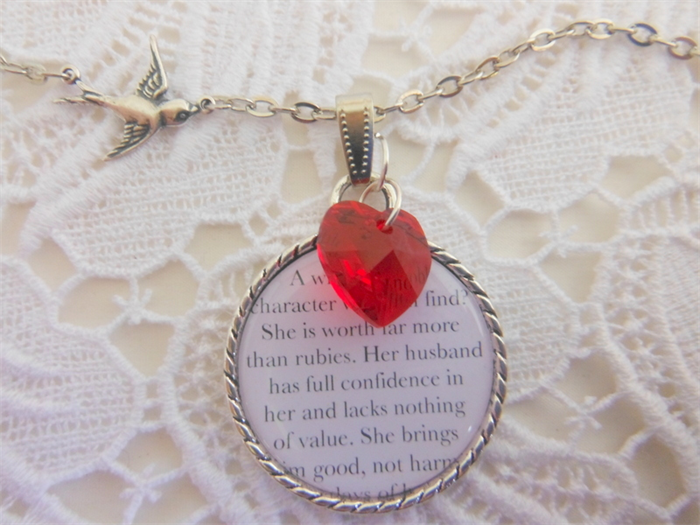 Most doctors opt for additional chain necklace to go with their rings as pendants. Since gold price has skyrocketed lately, those with tight budgets go for a pair of ten carat plain white gold rings, which do not change color or fade, and thick enough to last a lifetime. Wedding rings don’t have to perfectly match. Most men prefer plain band, ladies want with diamonds. Better yet, surf the net for your favored design; go to Philippine jewelry and ask for the price of the pair of rings and the designated karat. Price varies when the ring size is more than size 8, or when the size of the diamond is bigger than what is stipulated and the gold karat ordered is higher than the designated karat. Have your ring sizes taken. Wider rings require wide sizer. 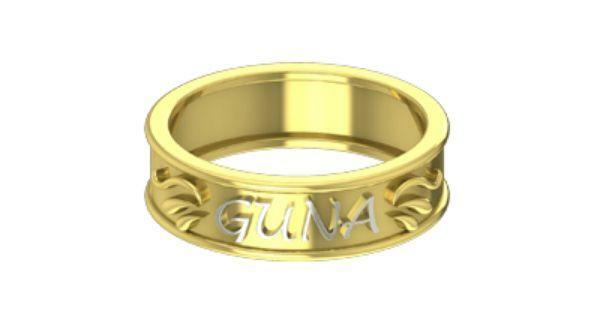 Write bride and groom’s names and complete wedding date, to avoid misspelled names to be engraved in the rings. Plain bands take a few days to make while those with stones can run for a week. Visit www.golcondajewels.com or call +63 88 857-1181 to know more about our wedding rings for your special day. December 29, 2010 – Golconda Jewels, Philippines – Salutes 2011 with its soft launching of a wide collection of beautiful custom made and hand crafted jewelry in the Philippines. Golconda Jewels the brand for Rosalindas Jewelry is home of the finest antique, pearl, precious stones and bridal jewelry. Rosalinda Jewelry artisans specialize in either simply gold, yellow gold or white gold or the combination of two tones with diamonds for Wedding rings. They also carry Philippine antique jewelry of pre-colonial designs. Their collection of jewelry is of striking design and exceptional quality. 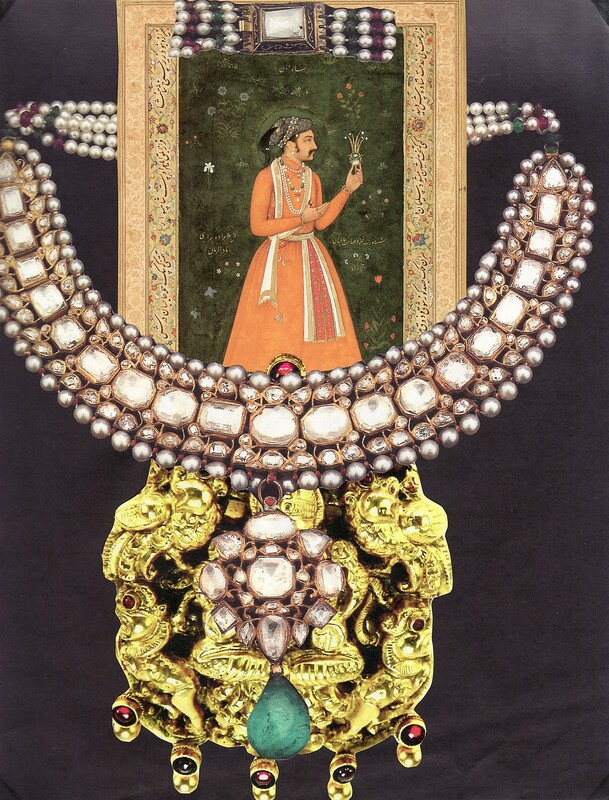 Golconda Jewels has four collections of fine jewelry. These are the Philippine Antique Jewelry of pre-colonial designs passed on from the year 1800’s, Pearl Jewelry made from South sea Pearls, Akoya Pearls, Mabi Pearls and other freshwater pearls, Precious stones Jewelry made from the four classic stones of nobility- Diamonds, Rubies, Emerald and Blue Sapphires and Bridal Jewelry in simply gold or with diamonds for wedding rings which is engraved with the mate’s name to make the marital symbol more special, significant and romantic. They also accept engagement rings, bridal tiaras, arrhae and coin cord. Golconda’s founder, Rosalinda Neri-Marfori P. Caragos, is the great-grand daughter of the very first jeweler of Cagayan de Oro, Ramon Neri in the late 1800s. From the clan’s jewellery heirloom, Ms. Caragos was able to copy her great-grandfather’s Spanish inspired colonial antique designs of tambourine, pinetas, tutubi necklaces, pipa, uod pendant and chandelier earring from earlier period. Her passion for fine jewelry together with Rosalindas Jewelry artisans imaginative designs, skilled eye for beautiful precious stones and uncompromising craftsmanship which is reflected in their exquisite collection of custom made jewelry have preserved their clan’s legacy. Rosalinda Jewelry also accept all kinds of jewelry job orders for men, ladies and children and other services such as jewelry repair, resizing, cleaning and gold electroplating, restrand and stone attachment. They also buy gold dust and scrap gold.